Home » browser , Mobile , news , wiki » 2018 Mobile Data Speed Report : Canada,Australia,UK,USA,Brazil and India. 2018 Mobile Data Speed Report : Canada,Australia,UK,USA,Brazil and India. Most people argue that more telecom operator leads to competition and thus creating lower prices and higher average internet speed. 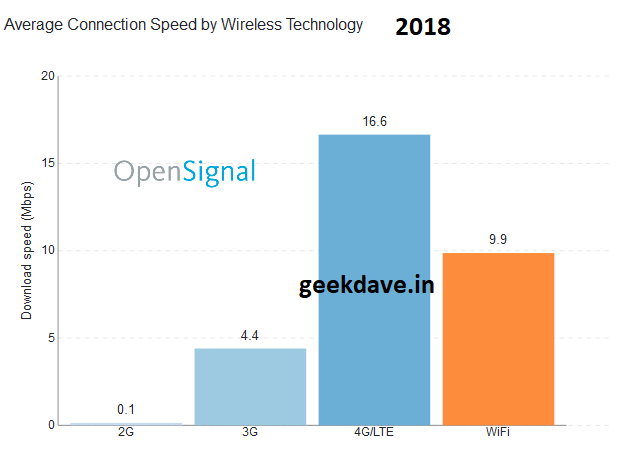 we are in 2018 and we all know that now just voice communication is not enough, world is moving towards smart communication so here i will share data about number of telecom operators vs their average internet speed. i can't list all country data in single article so feel free to visit official website of opensignal and checkout their data. if you ain't satisfied with the speed it's time to tweet this article to your local operator/authority. let them know we subscribers are aware of global internet race.